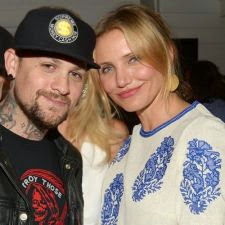 According to People magazine, Benji Madden, former Good Charlotte and one half of the Madden Brothers, officiated at the marriage with the Hollywood star Cameron Diaz on Monday (5). The ceremony took place at the couple's home in Los Angeles and had only attended by family and close friends. Among the bridesmaids were the wife of Joel Madden, Nicole Richie, and actress Drew Barrymore, who appeared opposite Diaz in the two films of secret agents Charlie's Angels. "We could not be happier to start our journey together surrounded by our families and close friends," the couple said to the publication. The couple started dating in May last year and the marriage proposal was made a few days before the Christmas.